School psychologists receive training to assess (see full Glossary) children who may have additional developmental or learning needs. School psychologists work on a one-on one basis with a child to gather information about the child’s needs, challenges and gifts in their academic, adaptive, language and social and emotional skills. School psychologists support students, teachers and teaching assistants, principals and parents. School psychologists refer to, and are part of, the School Based Team or SBT and provide their input for the students’ IEP or Individualized Educational Plan. In British Columbia, Canada, school psychologists work with groups of schools within a school district (see full Glossary). Special education teachers work with children with special needs in special education programs (Fig. 1) or classrooms within elementary and high schools. Special education teachers work on one-on-one or small groups and follow the recommendations of the Individualized Educational Plan (IEP). This means that the work they do with the children has modified from the regular school curriculum. They do so in order to meet the children’s unique educational and learning needs. 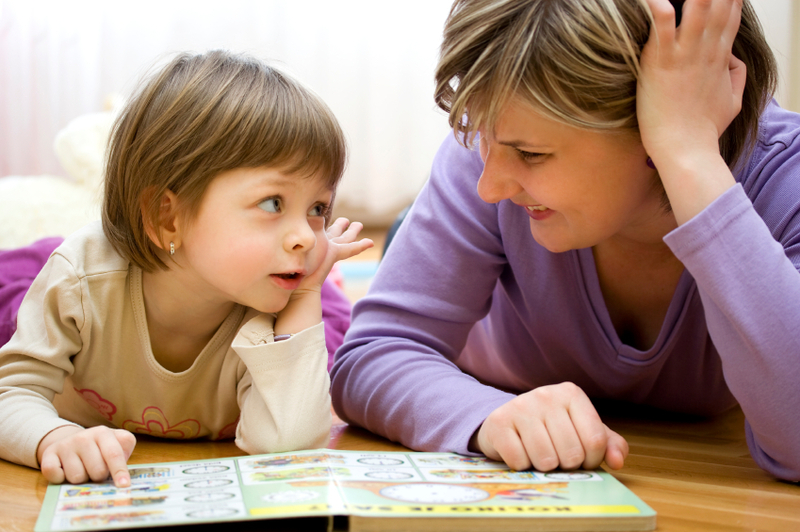 Special education teachers try different ways to teach with children, including the use of materials the children can touch or listen to in order to learn to read and write. Special education teachers are part of the School Based Team (SBT) and work together with other classroom and resource teachers, principals, other school professionals and parents. Speech and language pathologists or SLPs (Fig. 2) work with children who have difficulties learning to communicate (for example, making sounds because they have difficulties in their speech) or with children who have difficulty understanding information even when they can hear, and when then information is spoken in the child’s native language or “mother tongue.” The role of a speech language pathologist is to identify difficulties and help with the prevention of speech, language, fluency, voice, cognitive, and other related communication disorders. SLPs use different exercises or techniques to help children learn how to make sounds and speak; these include exercises with their tongues, lips, and even with swallowing for children who have major physical or motor impairments. This is why most of the time SLPs work with other professionals as part of inter-disciplinary teams, or in private consultation and collaboration with others. SLPs may work in health units and health care centres, in school districts, or with child development centres and agencies. The school support teacher (Fig. 3) or educational assistant works with children with additional needs. He or she works in collaboration with, and under the supervision of, classroom and resource teachers. Working with classroom and resource teachers, school support teachers implement the specific strategies and techniques in the child’s Individualized Educational Plan (IEP). School support workers may work in-class, with the targeted child or children as part of the larger classroom, or in a one-on-one, pull-out setting. Social workers (Fig. 4) are trained to work with children and families who need support in urgent or critical situations when families cannot help themselves. Examples of these situations may include family crises where violence, neglect or any type of abuse may be happening; the loss of a job and the risk of losing a home when there is no money to pay the rent or no food to bring to the table; having a child with disabilities or with mental health needs and needing additional support, and other similar situations. Social workers work under government legislation. They may act as protectors of children’s or adult’s rights, or as advocates in front of the law, and may have to testify in court (Fig. 5 and 6). They work in homes, in family centres, in hospitals, and in major health and development support centres. They take part in major decisions around children and families, and work as part of multi- or inter-disciplinary teams. They may work with, and receive additional support from, social work assistants when working in government or large health or family agencies. Supported child development consultants (Fig. 7) work with children ages 3 – 19 years with special or additional needs. Consultants work with families at home, and also with teachers and child care providers working in preschool, daycare and out-of-school care programs. While working with children, their teachers, or other service providers, consultants help come up with individual service plans for children that reflect the choices and priorities of their families. At the same time, they make sure the centres the child attends are inclusive and that they address the child’s individual needs. Working on a one-on-one basis, the work of a supported child development consultant aims to enable parents to that they take charge of major decisions on behalf of their children and themselves. Supported child development consultants work under the supervision of a program coordinator. The program coordinator plans and directs the Supported Child Development Program (SCDP). The Office of the Provincial Advisor provided guidance, training and direction for all SCD and ASCDP programs in the province until December of 2009, when the MCFD terminated this office.